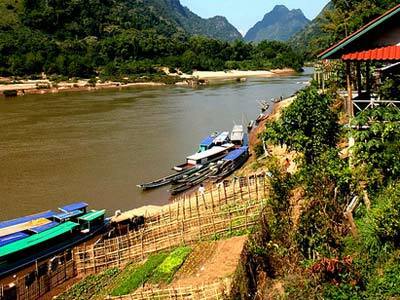 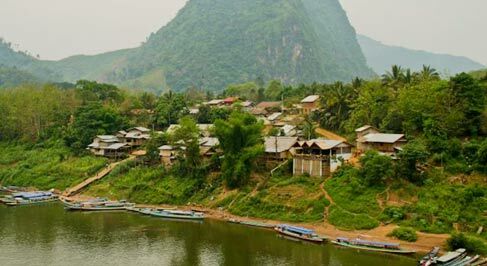 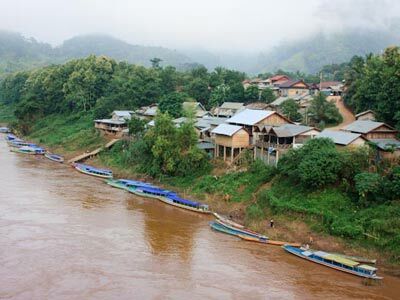 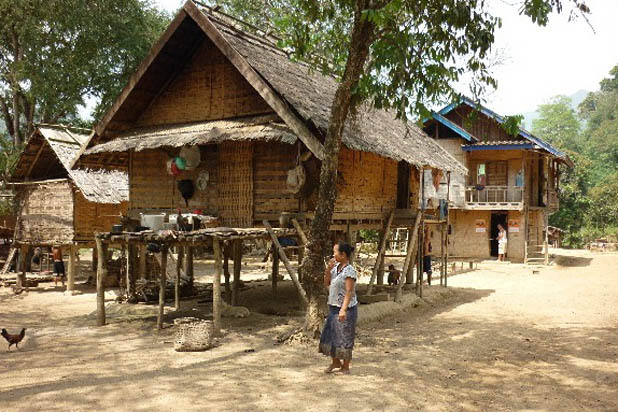 Nong Khiaw is a little rustic town partly settled along the bank of the Nam Ou River, one of the most important rivers in Laos. 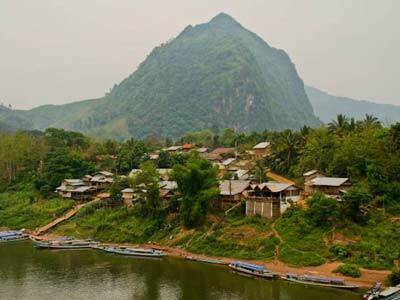 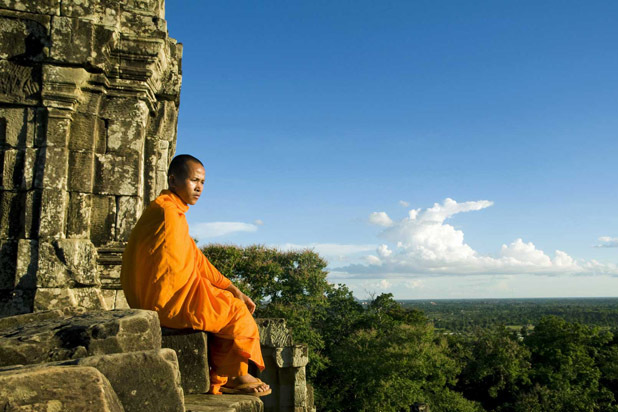 It is blessed with some of the most beautiful natural settings in Northern Laos: vertical limestone mountains, lush forest and mystical river. 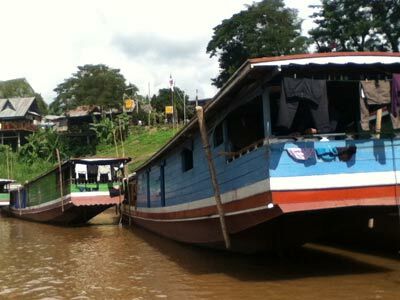 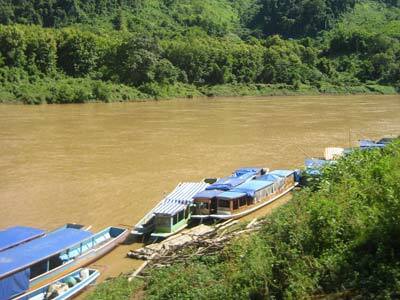 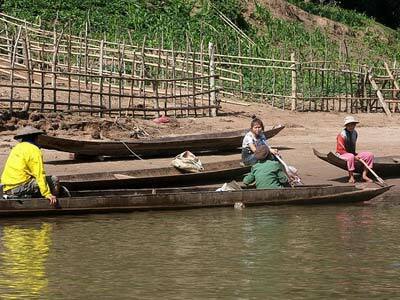 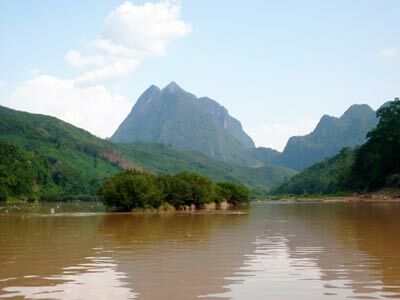 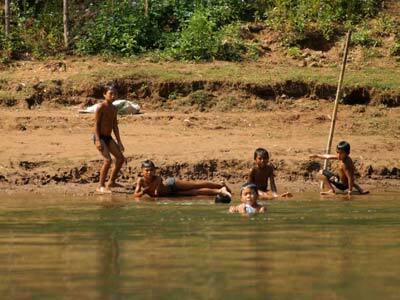 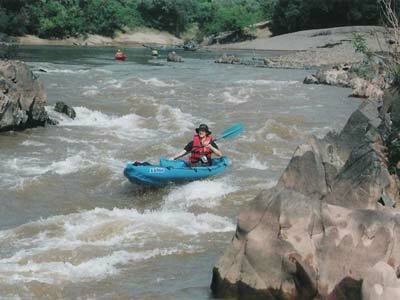 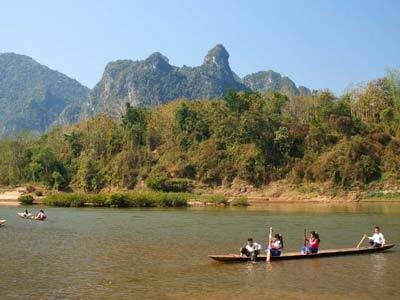 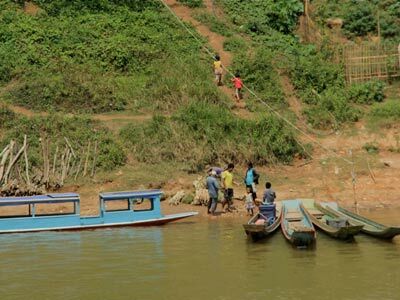 A boat trip from Nong Khiaw to Muang Ngoi or Pak Ou Cave would be a fantastic adventure in Laos. 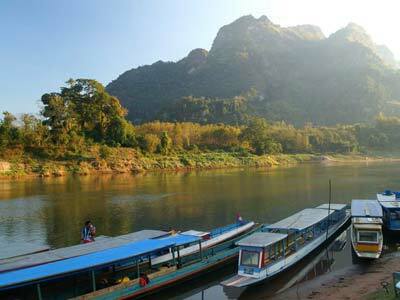 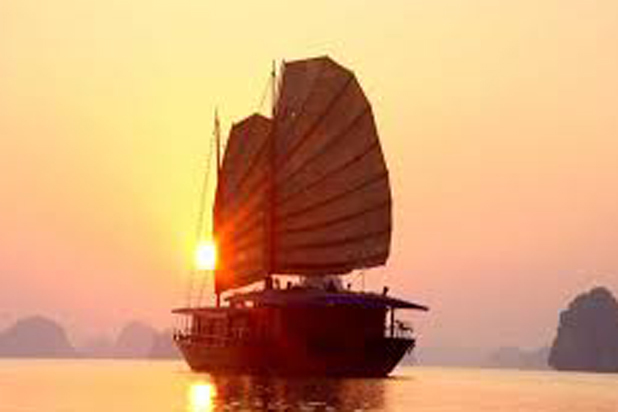 The best way to see Luang Prabang and surrounding, what a beautiful sunset ride on the Fabulous Mekong river, complemented by a tradition Laos dinner and the fascinated temple stops. 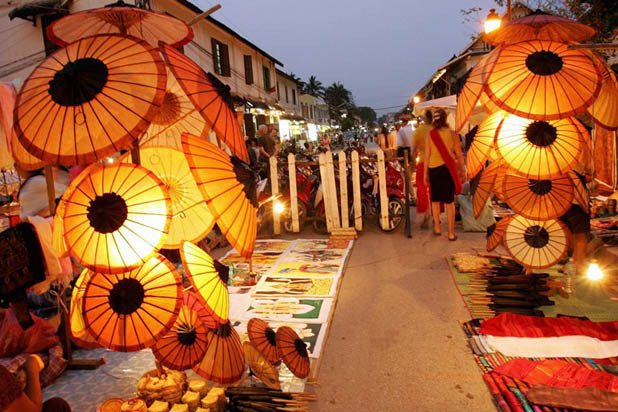 The night market is a great place for shopping and checking out the wonders on offer. 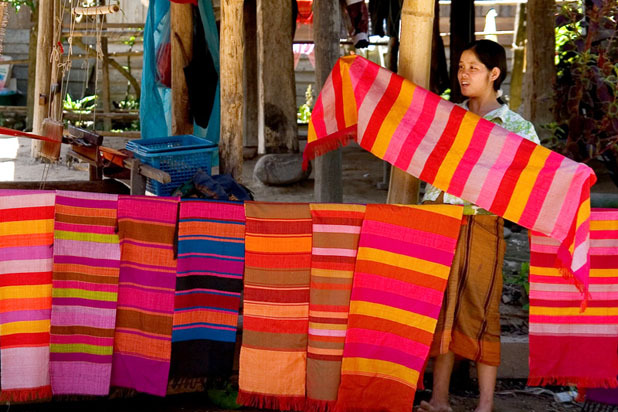 It was fun and colorful and vast sellers and choices. 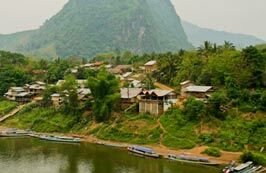 For those interested in traditional handicrafts, visit Luang Prabang outskirt’ s weaving villages and learn what to do with the old looms is a good way to spend a morning. 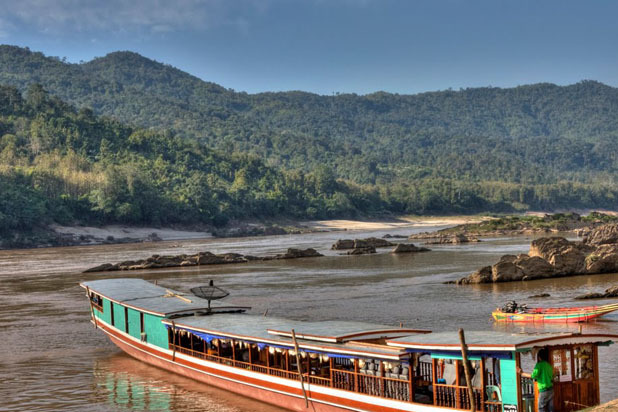 The 700 year old Luang Prabang is surrounded by lush jungle and an elephant ride is the way to get closer to its pristine nature, impressive waterfalls and village life. 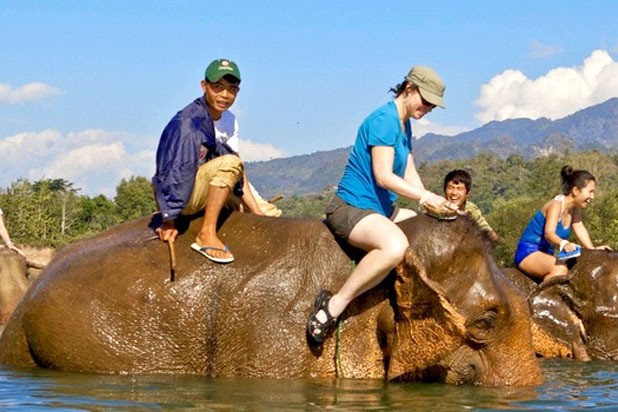 A handy way to get around Luang Prabang and its surrounding area. 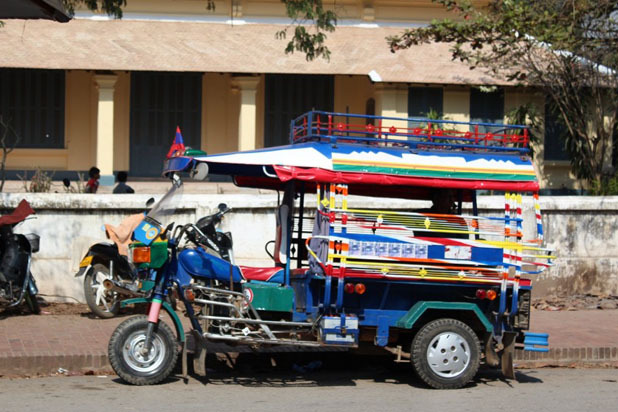 Blend with the locals on a compact tuk tuk and get into close contact with local life.